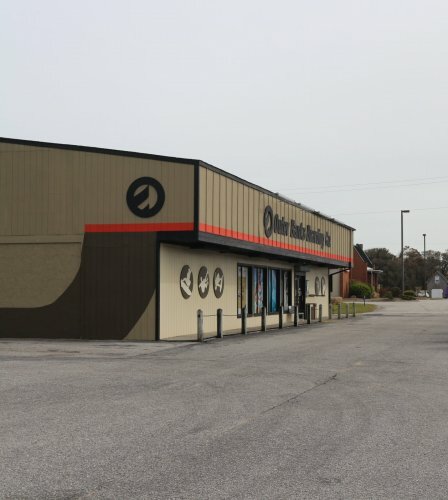 Founded in 2002 by owner and surfboard shaper, Lynn Shell, Outer Banks Boarding Co. is a family owned and operated core boardsports shop located on the Outer Banks in Nags Head, North Carolina. Lynn is a veteran of the surf industry and has been shaping surfboards for over 40 years. He and the rest of the crew at OBBC provides the finest boards, accessories, and apparel the surf and skate industry has to offer. Our extensive variety of high quality boarding products is backed by a combination of knowledge, experience, and passion that is shared with our customers daily as we exceed their expectations. Additionally, we’ve built strong industry relationships that allow us to share an extended selection of products online from key companies we respect. Whether you need help selecting a new board or finding accessories and apparel that suit your individual needs, OBBC team members are always on hand to provide expert product advice, prompt service, and a genuinely, personalized shopping experience. Drop by our Nags Head storefront or visit us here online today for the boardsports supplies you need to enjoy the life you love!